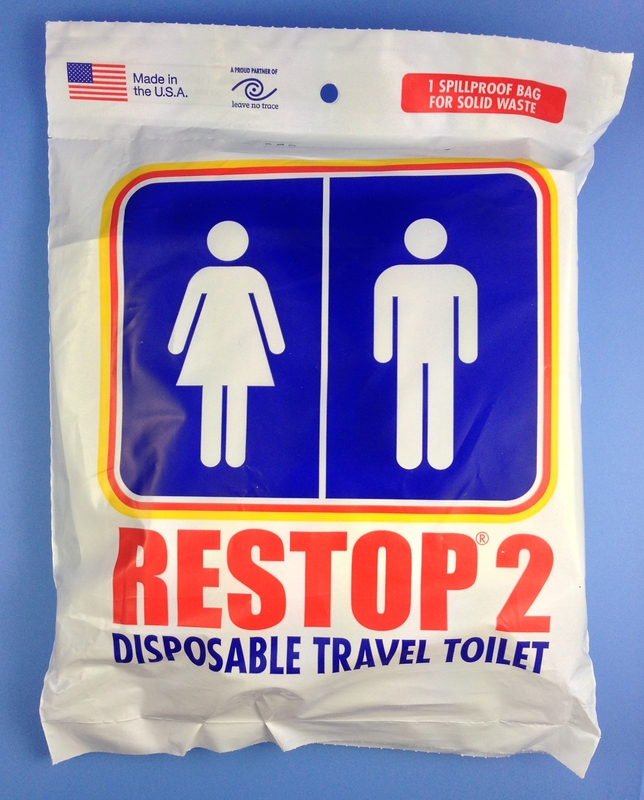 Our RESTOP 2 bag can be used on the ground or with the Commode. Remove foil bag from outer wrap. Open zip-top, remove toilet paper and antibacterial wipe. Gently unfold grey liner, leaving it attached to foil bag. Set foil bag inside the commode. Place liner over Commode seat, positioning black drawstraps at front and back of seat. Secure by adjusting drawstraps until liner fits firmly over seat. After use, lift liner from Commode with drawstraps. Holding straps together, slide liner closed and tie straps. Tuck liner inside foil bag and firmly seal zip-top. Waste is safely contained. Dispose of in any trash receptacle. 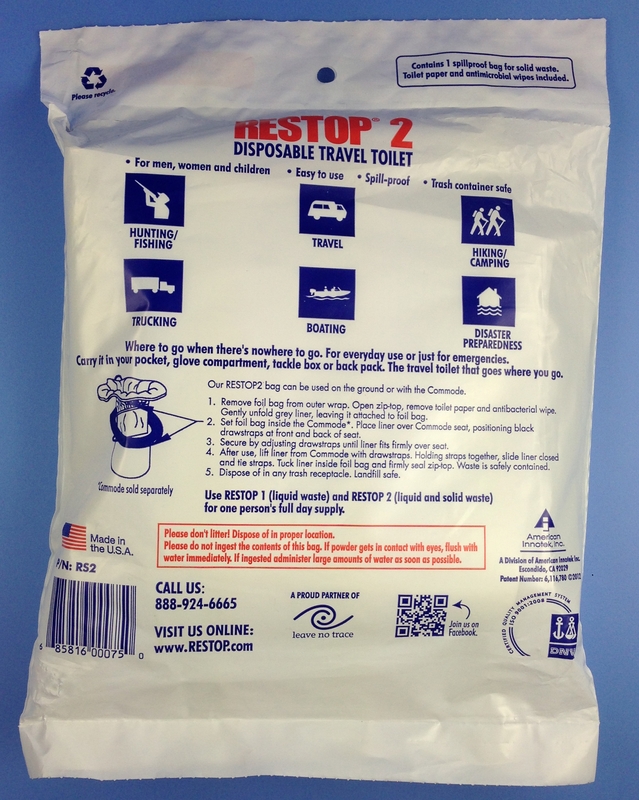 The RESTOP 2 uses a patented bag within a bag design to safely contain and neutralize human waste. Restop contains the odor as well as the waste. The outer bag is a Mylar gas-impervious bag. The same polymers and deodorizers used in the RS1 are inside, with a slightly different set of enzymes for solid waste. The Restop 2 system contains the odor as well as the waste, providing a user-friendly and pleasant means to pack out solid waste. Ample toilet paper and a moist antiseptic towlette are included. How is it used? 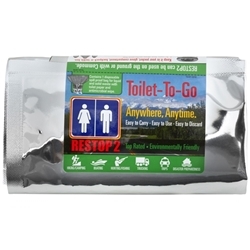 The RESTOP 2 is designed to be used with any commode system or can be used directly on the ground in wilderness situations. To use with a commode system, simply insert the Restop 2 into the commode bucket and fold the upper bag over the foam toilet seat (bucket and seat sold separately). When done, the upper bag folds into the lower triple layer barrier bag which then zip locks closed for complete containment. Now the waste is safe for disposal in any trash container.